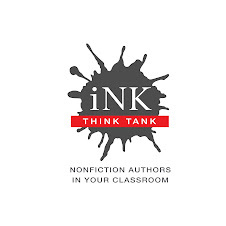 There’s been a lot of talk recently about the Common Core State Standards and how important they are in creating a market for nonfiction writers. That’s nice for us, but I’m excited about this new approach to teaching way beyond its effects on my pocketbook. I’ve seen too many examples in my life of how our citizens don’t know how to read for information content and how to evaluate what they read. My first exposure to this problem occurred when I worked as a teaching assistant in a basic zoology class while in graduate school at the University of California, Berkeley. More than once after an exam, a student who received an inferior grade would come to my office very discouraged. “I came to all the lectures and I read the text but I only got a C on the exam—what’s my problem?” I’d ask them about their reading techniques and it would turn out that they had no idea that there was more than one way to read. Of course they’d learned to read in school, but as has been the practice for decades, they learned by reading fiction, which requires a totally different reading style than nonfiction. You can ‘fast read’ fiction by skimming lightly over some sections and focusing on following the plot and the emotions of the characters. That kind of reading will get you nowhere if you are reading to learn. Reading to learn requires a form of close reading in which you carefully follow the text with your thinking brain engaged at all times. Here are some questions to ask yourself as you read nonfiction text. Does this make sense to me? Am I “getting it” as I read, or do I need to reread this more carefully? Am I examining all the illustrations, reading the captions, and checking to see if I understand what the author is trying to convey? Do I stop frequently and review in my mind what I’ve just read to see if I’m absorbing the information? This kind of focused, concentrated reading takes time, and people like me, who have always read a lot of informational nonfiction can have a hard time reading fiction. We become so accustomed to reading carefully, paying attention to every word, that it’s difficult to finish a novel in a reasonable amount of time. I, for one, haven’t learned how to flip an internal reading style switch, so a novel takes many hours to complete. The other problem associated with learning to read through fictional texts is not learning how to evaluate what one reads critically. What kind of reading do adults need to master in order to be successful in the world? 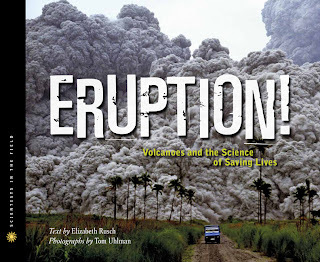 Nonfiction, not fiction! They read the paper, either on ‘paper’ or online; they have to be able to read all sorts of forms such as for income tax and contracts for work. They need to be able to spot propaganda-style writing and to recognize when they are only getting one side of the story. The internet has only made this skill more important than ever, since anyone can put up a snazzy looking website and fill it up with misleading nonsense or misinformation. If a student plans to be part of society’s middle class, he or she also needs to be able to write coherently in order to apply to college, to apply for jobs, and to communicate within the work environment. I’ve spoken to many college teachers who need to devote vital time to teaching their students how to write when they are supposed to be teaching them economics, science, psychology, or some other academic subject. The CCSS are designed to improve students' writing skills, too. We can hope that the application of the CCSS will help to alleviate these problems so that Americans will be able better to cope with the challenges of our complex new world in which communication has become even more important than in the past. My name is Gretchen, and I’m a researchoholic. Perhaps my #1 substance of choice is the Oxford English Dictionary (OED), the online version of which is available 24/7 via my local library website. And so, though I have mulled over this blog for several days, when it came to putting fingers to keyboard, I felt compelled to imbibe some OED first. 5b An interconnected group of people; an organization; spec. a group of people having certain connections (freq. as a result of attending a particular school or university) which may be exploited to gain preferment, information, etc., esp. for professional advantage. The first use of the verb form was given as 1980, and one wonders how we got along without the word. The phenomenon is surely as old as the earth, or at least humans’ habitation of it – but that’s not my subject either. I actually want to give a brief history of my own evolving children’s literature network, and express appropriate gratitude forthwith. [Reading the OED makes you talk and write funny.] BTW ‘evolve’ has an interesting history in the OED going back to 1597, and Darwin is not mentioned. Back in 1992 when I began to entertain the thought of writing for children, I turned to UCLA Extension. At the end of a nonfiction class, the instructor, Caroline Arnold, encouraged us to form critique groups, and three of us did. Lo, these 21 years later the group still includes two charter members, Alexis O’Neill and myself, along with Nina Kidd, Ann Stampler, and our erstwhile teacher, Caroline Arnold. • A deadline to force one to produce something for every meeting or feel like a total slacker. Networking results: personal introductions to two editors who bought my first book and my first novel. And an annual delectable Christmas/Hanukkah party every year at Alexis's. 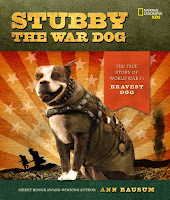 By 1998 I had published one book and many short stories, but couldn’t crack the picture book market. So I enrolled in the then-new low-residency MFA in Writing for Children program at Vermont College (and began to write biographies.) I craved the one-on-one relationship with an advisor and I loved the bi-annual intensive residences. Too bad, I thought, I wouldn’t get to know my classmates, since we’d see each other so little. Wrong! At the end of the first residency we set up a yahoogroup – a novelty back in 1998 – and for the past fifteen years we’ve been in daily contact. Of the fifteen original class members, eleven of us are active what Brock Cole dubbed “The Hive.” Since we’re all female, the hive has become much more than a writer’s group. We’ve shared everything – marriage, births, deaths, tribulations and triumphs. We’re in our thirties through eighties, and though we’re scattered all across the U.S., I’m in closer touch with the Hive than I am with local friends (We’ve too busy to check in daily.) The Hive is not a critique group, though some of us do that for each other some of the time. These writers have published dozens of books in the 15 years since we met, won top awards, and together we walk the walk of being a writer, making a living, living a life. Worker bees, all. • occasional in-person reunions that reinforce our friendship. Networking results: two more editor contacts from two Hive members that led to two more book contracts. And it was hiver April Pulley Sayre who brought me to …. ….that fabulous bevy of writers that joins me for breakfast every morning at the computer. I love reading the on- and offstage goings-on of those writing stars, most of whom I’ve never met. Inksters seem to be north-easterners, though we have had one raucous NYC dinner that I was party to. 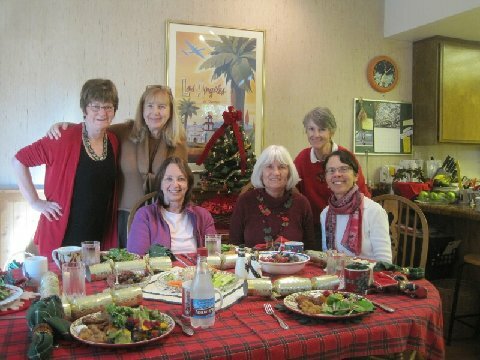 And I did meet Sue Macy at ALA here in California, and shared a dinner with her and her editor….an editor who is now reading one of my manuscripts…..
I’ve been told that the literary world of adult writers can be maliciously competitive and ungenerous. My networks of children’s writers are nothing of the sort. Happy summer reading and writing! This summer on the I.N.K. blog, we’ll be reposting some of our favorites during the month of July and we’ll take a quiet non-blogging month of relaxation in August. During this time, we will consider and begin the steps of making some improvements to the blog. 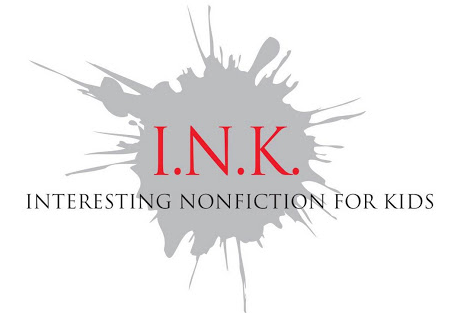 One of the things I’d like to work on is building a formidable recommended list of I.N.K. books from preschool through YA. We’d also like to turn our attention to how we as readers, writers, teachers and lovers of children’s nonfiction can suggest the best books to implement the core curriculum. We welcome your suggestions. What would you like to see on the blog? How can we talk about non fiction in a way that makes these books more accessible to the general public? Please join the conversation. You can comment here, join our Facebook page and comment, or even send me a private email if you prefer (see sidebar for email). Although our posting will be quieter over the next two months, the conversation will definitely continue. Since the debut of INK, I have used my June post to reflect on one or more of my school visits during the previous school year. I hereby continue the tradition. This picture came via email from a class at Colegio Americano de Guatemala, the American School of Guatemala. I spent a week there in March. A day after seeing one of my presentations, the 3rd grade class of Ms. Katie Jones-Vis presented me with “Big David,” a cut-out meant to resemble me in height — 5’ 10”. This prop was a take-off on “Little Davie” a 4’6” cut-out they saw me use to demonstrate the proportionality concept in my book If You Hopped Like a Frog. I had told them the story of how, as a child I noticed that a 3-inch frog could hop 5 feet, which is 20 times its own height. I wondered how far I could go if I hopped proportionally, meaning 20 times my height (at the time, 4’ 6”). A little arithmetic revealed a trajectory of 90 feet (4.5 feet X 20), which I quickly equated with the distance between the bases on a major league baseball “diamond” (square, really, but that matter is in a different book!). Years later, this childhood revelation became the basis for If You Hopped Like a Frog, which opens, “If you hopped like a frog…you could jump from home plate to first base in one mighty leap.” Other examples compare human abilities to those of animals by imagining the comic results of human performance matching that of certain animals proportionally. Live author visits are more like performances than conversations. From my highly unscientific study (sample size one author), here is further unscientifically collected anecdotal evidence, which came in an email last month, referring to a school visit I made in Ithaca, NY, several weeks earlier: “Everyone here is still talking about your visit...” Or this from a parent after seeing my program for the primary grades at a school in Seattle: “Our family will never look at math in the same way.” Or this from a 5th grade teacher near Philadelphia: “You put the kids into high-power math mode for days.” Maybe there can be lasting benefits of live author assemblies, especially when teachers give the kids opportunities to process what the author had to say, not just wave good-bye as he drives down the bus lane and back to the airport. So, performances on the one hand and conversations on the other. Can’t both be valuable, inspirational, educational and entertaining? I certainly wouldn’t want to say that one is has more curricular value or benefits with a longer half-life than the other. I’m thrilled to be able to participate in both. Jim Murphy's blog post quoted in the N.Y. Times Magazine! Instead I’ve reached that golden moment when the book is nearing completion. I’ve made my last revisions, written the final photo captions, tweaked the back matter. This baby is almost done! I say to my friends with great glee, “I could be hit by a bus, and the book would still come out.” The expression may sound a bit melodramatic, but for an author who has spent one-two-three-ten—pick a number—of years working on a project, the relief of knowing the book will “make it” is palpable. I came up with the hit-by-the-bus benchmark idea many years ago. I was working on one of my early books, With Courage and Cloth, and the process had become endless. I began to worry: Will I ever finish this book?! The more years I worked on it without completing it, the more my anxiety began to rise. What if I never quite make it? What if I get that close to done but something happens to me? The book will never come out, and no one will get to see all the cool photos I found of suffragists picketing at the White House for voting rights or learn about the forgotten story of how they went to jail so that women would earn the right to vote. You get the idea. I became extra careful in my personal life—looking both ways twice before crossing the street, et cetera. When the book finally reached the phase of printer’s proofs, my relief was palpable. Yes! The bravery of those suffragists would become known to young people (and the grownups in their lives). The ingenuity of Alice Paul—architect of the employment of nonviolent resistance for her cause four decades ahead of the Civil Rights Movement—could be celebrated again. When the book came out months later, it caught on with readers, and, fortunately, it remains a favorite almost a decade later. 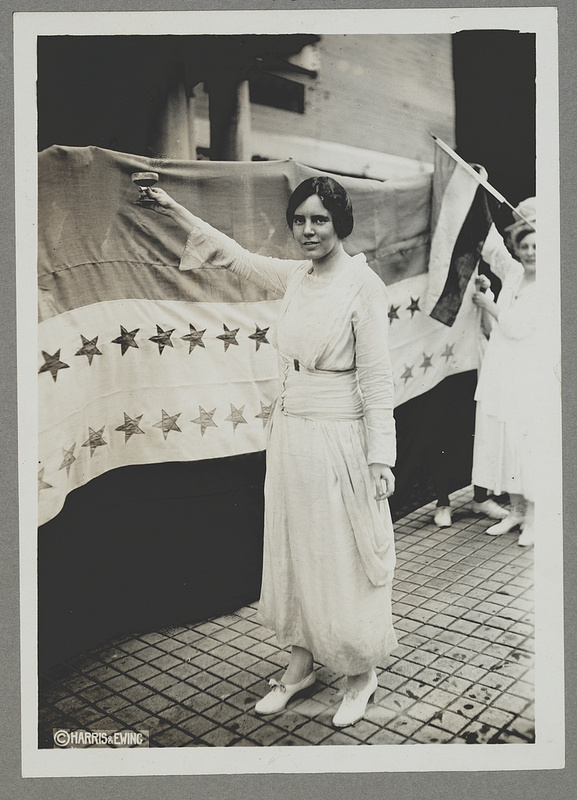 Every year I hear from students who are featuring Alice Paul and the National Woman’s Party in History Day competitions. Thanks to the Common Core, the book will remain influential for the foreseeable future, too. Thank goodness I wasn’t hit by a bus in the middle of the project! Seven books later I’ve crossed another hit-by-the-bus benchmark. Phew! Now the next book will see the light of day, too, as, I expect, will I. After all, by now it’s a habit. I always look both ways twice before I cross the street. Being a nonfiction writer is so glamorous! At least that’s what it looks like from reading the jacket flap bios of many nonfiction writers and illustrators. After all, we’ve trekked with gorillas, dived with seahorses, explored dark caves, and flown up to the Arctic with the Air Force. You might even think that from reading my books and articles. After all, I’ve hung out with rocket scientists at the Jet Propulsion Laboratory, hiked to the summit of Mount St. Helens when it was erupting, visited volcano observatories on Mount Merapi with a team of American and Indonesian volcanologists, and spent sunny days bobbing on the ocean with wave energy engineers. It IS pretty awesome. Except for when it’s not. I’m going to tell you a story that you’re not going to find any suggestion of in my book Eruption: Volcanoes and the Science of Saving Lives, just released by Houghton Mifflin Harcourt on June 18. A few days later, the helicopter company called. They were mistaken. There was no way they were going to land their helicopter on an ash field where their delicate components would get ground up by the glasslike slivers of ash. So I called Andy. “Is there any way we could hike in and meet you?” I asked. He didn’t think we could take the usual climbing route because it’s too snow- and ice-covered and we’d need crampons and ice axes. But he thought we might be able to go up and around the glacier. So I called around and found a volunteer guide. He would carry a radio, a GPS and map. Tom and I packed our backpacks, hiking boots and hiking polls. We were set. Soon we headed off trail up some steep hills full of loose volcanic scree. We heard a distant helicopter and caught a glimpse of it far off, but we couldn’t tell where it went. We checked our GPS reading and the map and trudged up canyons and down canyons. We were winded but happy. Finally, we found the canyon that we thought would lead us safely to the volcano monitoring station. We were much later than we thought getting there, but still had many daylight hours ahead of us, so up we went. Up and up and up. Through scree piles that avalanched under our feet. Over large rocks and boulders. And then we faced a huge, steep snow field. 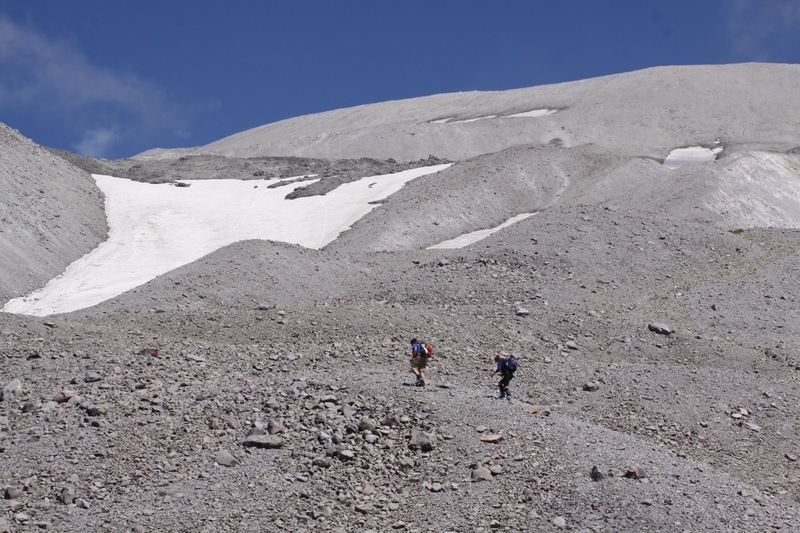 The kind where you’d be better off having crampons and ice axes. We couldn’t see or hear the helicopter or any voices. But it was still a long way up and over a ridge, so we thought maybe it was all hidden from view. We trudged up, kicking our toes in to the snow to make shallow steps. Did I mention that I’m a little scare of heights? I just kept my eyes on the snow ahead and tried not to look down. Then, I lost my footing. I slipped and started shooting down the ice field, picking up speed. I kicked my heels into the snow and grabbed desperately at the glacier with my hands but I just kept sliding. I was nearing the guide, and I reached out my hand. In what felt like slow motion, he grabbed my arm and stopped my slide. We both sat in the snow for a while, panting. “Not far now,” I said. He gave me a gentle look. "I don’t hear anything," he said. "I don't think they are up there. Maybe we should head back." But we had come this far. So we trudged to the top and over the ridge. This amazing photo of the America and Chilean scientists working on the volcano monitoring station on Mount St. Helens? I didn’t take it. Neither did Tom, nor the guide. That’s because we never made it there. We hiked over the ridge to find nothing. Nothing but a bunch of volcanic rubble. No one had any energy to drive anywhere. Our guide kindly offered to put us up for the night. We gobbled down some burgers and a beer and stumbled off to bed. But for me, the ordeal wasn’t over. I woke up in the middle of the night, and I didn’t feel right. I was surprised to find that my legs felt pretty good as I made my way to the bathroom – but that’s the only part of me that felt good. Let’s just say that I kissed the porcelain god. To this day, we don’t really know what went wrong. Sometimes things go wrong. And that isn’t the only time I’ve had to struggle to hold down a meal while doing field research. I’m deep in the throes of researching and writing another Scientists in the Field book about wave energy pioneers – engineers on a quest to transform that up and down motion of waves into electricity. One of my first trips out was a sparkly blue-sky day with only four foot swells. But stuck inside the boat’s cabin peering out the tiny windows, trying to interview a scientist and take notes, the waves felt a lot bigger. After a while everyone on board started to look a little pale and a little uncomfortable. Someone offered motion sickness medicine and a few popped the pills. Others sipped ginger ale. And one person – I’m not saying who and it wasn’t me – threw up off the back of the boat. Several times. But that’s all in a day’s work. Care to share any gruesome stories from your research? I dare you. Last July 8, a Cairn terrier came into our lives. We had been without a dog since Tinka, our beloved Golden Retriever, died in 2004. While in Pennsylvania for a party, we heard about a dog who needed a home, and even though we debated for seven years whether or not we could have a dog in the city (we lived in Bucks County, PA, during the Tinka years), we have not looked back. Ketzie is, as I tell her often, a value-adder in our lives. There is only one time when I feel at all doubtful about Ketzie. And that's the last walk of the night. Not because I'm too tired, but because the last walk of the night has become THE RATTING WALK. Before you get too grossed out (or maybe too excited), see below for one of the cuter aspects of the dog being a ratter. Here she is hiding under our bed. "Hiding." Why is she hiding? She has a new toy bone, and she doesn't want us to get it. OR rather, she'd like for us to try to get it, but she wants to put up a fight. She knows it is safe under there. Where we lived in Pennsylvania, there were mice and moles and skunks and deer. Where we live now, there are rats. Mostly they are hidden. But once in a while, at night, one will scamper across the street or sidewalk in front of us. While my instinct is to jump back, Ketzie's instinct is to become very alert. She assumes a posture we don't see any other time: alert in every cell of her body. It's as if her ratting genes coming to ATTENTION. Cairns were bred to get rats out of cairns (or maybe, truly, out of homes made of stones). And at night, just outside our lovely apartment building, Ketzie is ready to be OF SERVICE. I don't think we're going to train her to be on the rat-hunting squad. Yes. There is a rat-hunting squad in NYC and that link is to an article and a video about it. Please watch the video. It's only a minute and a half, and so worth it. I'll wait until you come back. Right? Ketzie really should be on that squad. But considering every night we're (husband and I) terrified she will catch a rat, I don't think it is in her future. When we have to force her to come back inside--Cairns are stubborn!-- I feel like we're thwarting her most basic nature. Which makes me sad. Tinka, our Golden, did not understand fetching in our Buckingham back yard. But the first time we threw a stick into the ocean, in Nova Scotia, she swam in, retrieved it, and laid it at our feet. Another clear sign of genes being able to express themselves. As parents and teachers and writers it is our job to help kids find their true selves. To help them express who they are, who they were meant to be. People who live their lives letting their innermost selves guide what they do are the ones we admire the most. Often those people have to fight inner and outer battles to do so. Paul Erdős was one of those people. He was so lucky that his mother (and later his father) nurtured his love of math, and understood his true nature. Mama let Paul be home-schooled until he was ready for school. She challenged him with math from the time he showed the great interest and ability (when he was four). Later on, the love and support he got from his parents, and the great foundation he had in math, allowed him to go out into the world--on his own terms. Even if we are not math prodigies or ratters or retrievers, we each have inborn strengths and talents that should be nurtured. We each have problems to overcome; everyone has to learn strategies for how to fit into the world. Some, like Paul Erdős, have more of a challenge than others. But with adults in their lives who understand their needs, they have a greater chance at success and a happy life. As parents, teachers, and dog-owners, we do the best we can. Even though I don't let Ketzie go after rats, I do buy her a new toy every time she destroys her current favorite. I think--I hope--that along with about an hour and half's worth of walks every day, good food, and lots of attention, that's enough. She seems pretty happy, and at home.